A good bar of chocolate is certainly one of my weaknesses and today is another example of UK Dairy Milk not being up to scratch. You may recall the Tropical Cadbury from New Zealand that I reviewed a little while back, and now we have another classic from both New Zealand and Australia, Cadbury Dairy Milk Black Forest. Also available in a 200g slab this little 45g bar cost me a cheerful £1.80. I do love a flavoured chocolate bar and Black Forest does excite me a little. Opening up the packet led to a sweet cherry smell filling the air which I hoped was a taste of things to come. 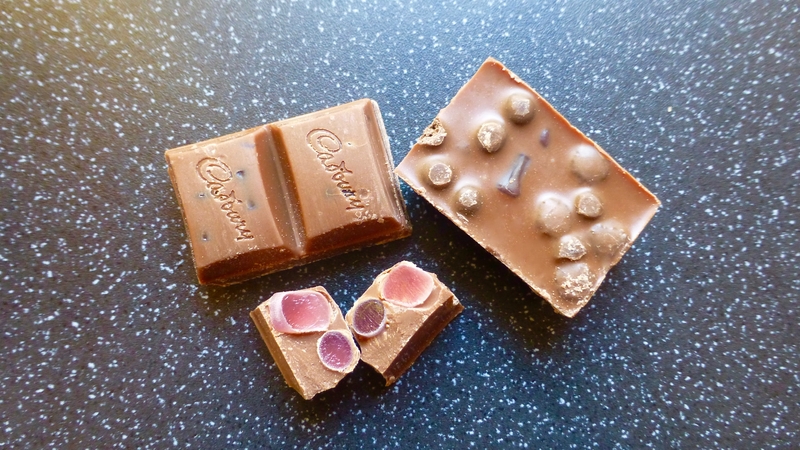 Cherry flavoured jellies and biscuit pieces in delicious milk chocolate. The texture of the innards of this bar were reminiscent of the UK Dairy Milk Creations. The chocolate itself was not as thick and smooth as I would have liked but I think this was more to do with the amount of sizeable jellies and biscuit pieces that were jammed in. 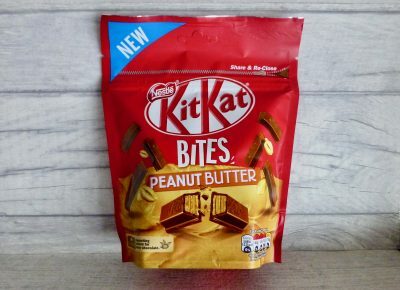 The biscuit pieces gave a good crunch factor whilst the jellies provided a really sweet shop cherry flavour that carried through the whole chocolate bar. What I found difficult with the bar was the addition of jellies just throwing everything off piste. They were pretty hard and subsequently tricky to chew and really no chocolate should be chewed for as long as this one took. Flavour wise Cadbury Dairy Milk Black Forest was spot on, texture wise it was a little off putting. I don’t want to chew chocolate the much nor have jelly pieces continuously stuck in my teeth. It is however a moreish bar and it certainly didn’t last long. A mixed bag really but if you can get past the texture element you will love it.